Saturday and Sunday are the most popular playing days for 7-day members. During weekdays the 5-day members, mainly our Seniors, make good use of the course and clubhouse. Competitions: The men's section organise individual, pairs and team competitions throughout the year. Most competitions are played are played at the weekend and are available to book in advance from 2 weeks in advance either in the foyer from 17.00 or on line.from 19.00. There are a number of long-standing singles and pairs knockout competitions which run throughout the summer. Midweek on a Wednesday we run a 'Flag' competition which is a 'roll-up & play' event and is a great way to meet new friends. Once a month on a Wednesday we also hold a Midweek Qualifying Stableford. There are no booked tee times for this competition. We enter National Comprtitions and also the two major county team competitions, namely the Somerset Bowl and Pickeridge Bowl having have had considerable success in these competitions over the last decade. 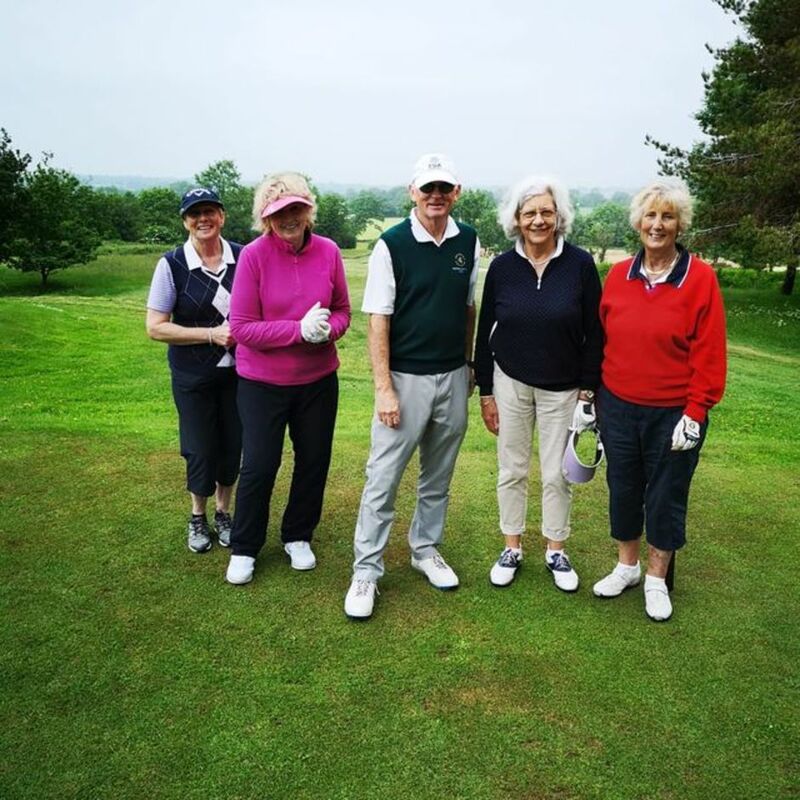 The Mendip Golf Club has a very friendly and active Ladies' Section with 76 current members with handicaps from 3 to 36. and you can be assured of a warm welcome whatever your ability. There is a wide variety of competitions each Tuesday morning for which you can sign up on the computer in the clubhouse foyer or via the internet at home. For those who are not able to play on a Tuesday we also run a programme of weekend competitions. We have 4 Ladies’ teams. 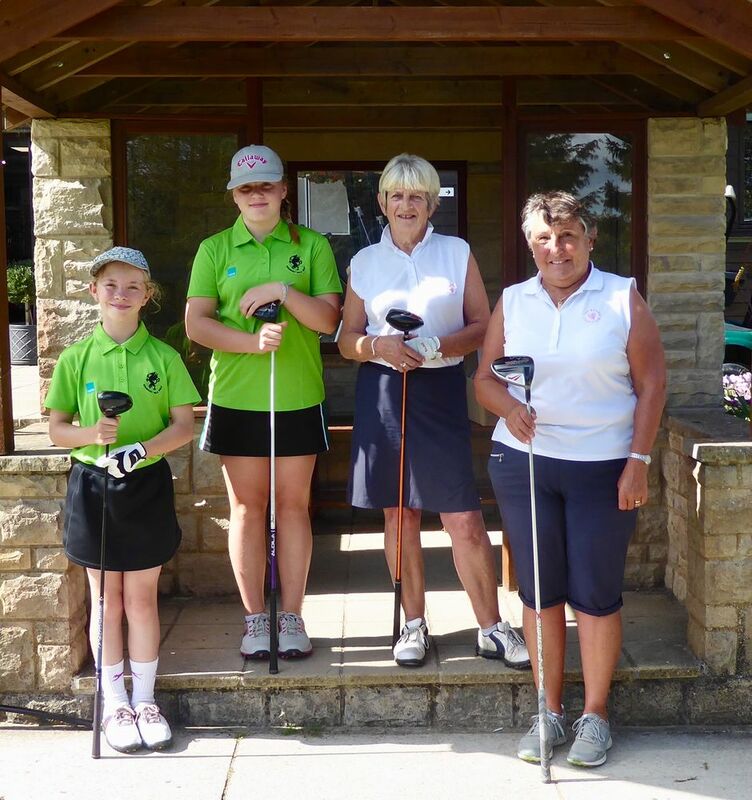 The Alliance A and B teams are league teams within the Bristol & District Ladies Golf Association (BDLGA), the Somerset Interclub League and Ladies Friendlies which are arranged between local clubs. Last season our Inter Club team were promoted to Division 2 after winning the Division 3 League We also enter Inter Club Competitions run by Somerset Ladies County and in National Competitions. In addition we play mixed social golf and mixed matches against other Clubs. The Ladies’ Captain this year is Bron Cooper and she is very keen to meet new or potential members. Bron will be happy to meet you and give you details of the various activities within the Ladies' Section. 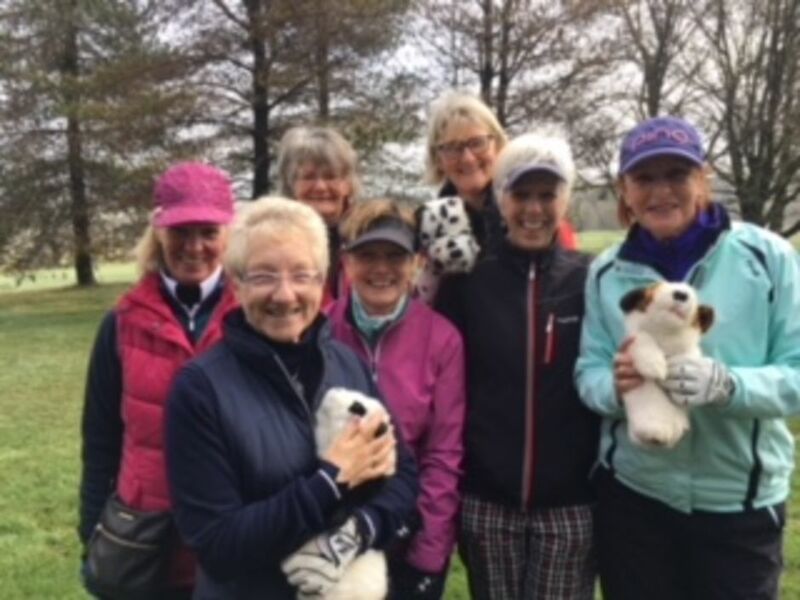 If you can visit on a Tuesday morning, which is Ladies Day, she will be able to introduce you to the existing members so that you can swop contact details and arrange to play some golf. Bron can be contacted through the Club Office on 01749 840830 . The Captains Drive In took place on Saturday 7th January. The competition was delayed due to the weather conditions but the fog lifted and a good time was had by all. Club Captain John Shakesby and Bron Cooper then completed their Dive In on the first hole. Mendip has a thriving Seniors’ Section for which the age qualification is 55 and the cost of membership £5 per annum. Our competitions are held on Fridays and are well supported with a field of between 60 and 70 competitors being norm. Mendip Seniors can also offer themselves for selection in the two County Senior Rose Bowl knockout competitions played on neutral courses, one Scratch, one Handicap. For these events we do try to put forward our strongest team. Many of us participate in 'Open' competitions including our own Senior Mendip Vase which is very popular with visiting golfers. We have around 150 members in the Seniors’ Section and we all find plenty of time for 'social' golf outside of the organised events. Our social events include Seniors’ Monthly Lunches and the Seniors’ Captain’s Dinner and Prize Presentation held in November. If you are joining Mendip and are 55 or over, why not also join our Seniors’ Section; a warm welcome and many new friends await. The new Mendip Golf Academy, combined with Junior group coaching and free membership for Members children, means that The Mendip is the perfect place for your child to learn the great game of golf in beautiful and safe surroundings. The Mendip Junior Vase was held on Thursday 31 May with the juniors enjoying the splendour of The Mendip Golf Club. The scoring on the day was excellent with no less than 8 players beating their handicaps. The winner this year was Lizzy Bryant from Orchardleigh Golf Club with a magnificent 44 points of a handicap of 22! In second place was Evie Thatcher (26 handicap) from Farrington with 42 points and Alex Marshall (7 handicap) from Farrington with 41 points. The best Under 15 year old girl was Leah Bowden (Burnham and Berrow) with36 points playing off 18 handicap and the best Under 15 boy was Ashton Wylie from Wells (8 handicap) with 39 points. 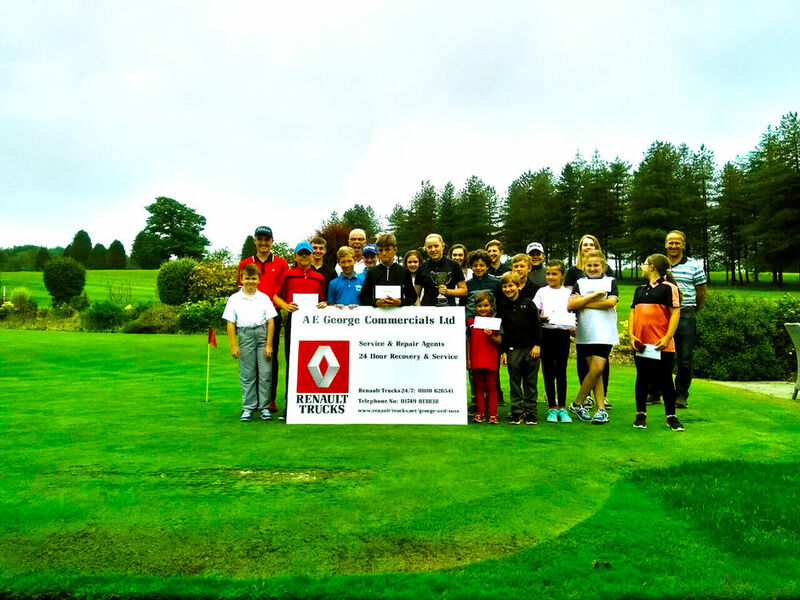 Running alongside The Mendip Junior Vase this year was the Golf Access Mini-Mendip Vase and this involved the younger juniors (age 4 upwards) playing from shortened holes on the course over 9 holes. This gives the little ones the same course to play on and to be inspired to improve to gain full handicaps. The winner of the Golf Access Mini-Mendip Vase was Lilianna Marshall from Farrington with a score of 44. Runner up was 4 year old Oli Roach from Orchardleigh and in 3rd place was Daisy Jeffery from The Mendip with Connie Cox (The Mendip) in 4th and Grant Jeffery (The Mendip) in 5th. Some brilliant golf was played and all games played in the true spirit of the game with friendships made and many happy smiling faces. A truly wonderful day for The Mendip Golf Club and the juniors. Our PGA Qualified Fellow Professional, Stuart Disney, offers a series of Junior Golfing lessons (Saturday morning 09.30-10.30am) where he covers all aspects of the game for a fun filled hour. Please contact Stuart ( 01749 840793 or email: pro@mendipgolfclub.com for full details and to book your child into the next class or for individual tuition.